Here at the Personal Defense Network, we want all users, from free users to Premium, GOLD and PLATINUM members, to get the most out of our site. Executive Director Rob Pincus explains the best ways to utilize the resources PDN offers. The other option is that you can go to the search bar and type in whatever you specifically want to look for. We have some things that are categorized into specific topics, such as concealed carry, unarmed defense, medical training, and many more, so you can use the topics to help you find the exact videos you are looking for. But if you use the search bar, you can research very specific topics, for example fast reloads. Remember, we have hundreds of free videos and articles from over 15 years of content production from a great team of contributors from around the country. You can interact with Personal Defense Network and our contributors. You can leave comments or ask questions on videos and articles, or you can seek out our contributors via their social media, websites and emails, and ask them direct follow-up questions. We as educators understand that every question you may have is not going to be answered by the short video clips or articles we produce. 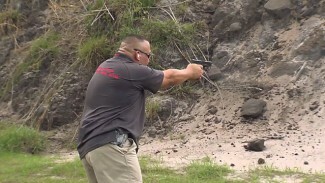 And that’s where the next phase of Personal Defense Network comes in: our online classes. If you sign up for one of our online personal defense classes, you will be able to get into a topic much more deeply than a short video clip or single article will allow. 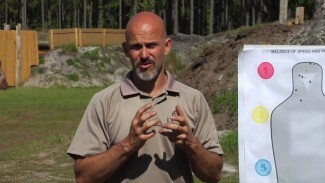 Rob explains more about the two different approaches our online classes take. The single most important thing you can do is simply use Personal Defense Network. Rob recommends you visit at least once a week. If you don’t see anything that grabs your attention from the new videos, articles and blogs that have been posted, go into the search bar and type in whatever you’re thinking of and see what we have to offer. I think that one of the most helpful aspects of Personal Defense Network is its focus on training rather than the politics of personal defense. Speaking as a moderate, it’s hard to explore these topics without ending up up to my knees in right-wing political propaganda and that’s distracting to me personally, because I believe in a more balanced approach to firearm laws than the left or right will generally talk about and… constantly being bombarded by the two opposite-extreme schools of rhetoric is mentally exhausting when all I want to do is research the practical elements of personal defense and come to my own conclusions. That isn’t to say that PDN is devoid of political opinions, it just isn’t clawing my eyes out every twenty seconds. So I can focus about learning about a particular model of gun, a particular firearms technique, an unarmed defense method, or something to do with first aid. I think a lot of personal defense enthusiasts get so wrapped up in talking up the reasons they personally hold dear for pursuing this knowledge and training, to the point where they forget that there are multiple roads leading to the same place. So I’m glad that I have a place to go to that’s not so fixated on that sort of thing. That this site also has elements of unarmed defense and first aid is particularly helpful since not all states permit one to easily acquire a self-defense weapon and being able to defend oneself without one, to a degree, is a good way to cover the bases whilst one navigates the required tasks for obtaining one. I live in a state where gun laws are quite strict; I also am renting in a house-share, and would be reluctant to keep a firearm in the house to begin with, as the living arrangement introduces a slew of problems into the equation that are, in my opinion, best avoided. I do own several knives and a sturdy display sword that could be pressed to action if something bad were to occur, but I also spend 40-50 hours each week in an Amazon warehouse, where I obviously can’t take any weapons past security at all. So the lesson on how to utilize a fire extinguisher in self-defense was particularly interesting to me. In any case, while I haven’t been able to devote as much time to this as I would have liked, I am very grateful that Personal Defense Network exists, and for the efforts of all of its contributors. Thank you, all of you. This has been one of the most informative resources I have found for learning more about defensive shooting techniques. It has been well worth the $50 a year for membership. I believe I have saved more than that in becoming more efficient in my personal training. I have gained a ton of knowledge. I now have half a shelf on training videos and several digital downloaded videos, currently working on my fifth on-line lesson. I feel more confident in my ability to protect myself and others. My thanks to Mr. Pincus and the guest that have aided in this. Rob Pincus reviews the pros and cons of the new Trigger Guard waistline “holster” for your compact handgun. Student alert! 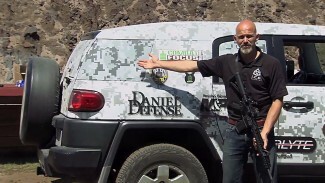 If your defensive firearms instructor is not giving you an integrated system of firearm manipulation techniques but rather a set of unconnected techniques that don't integrate well together, don't reinforce each other, and don't contribute to your efficiency by being consistent with one another, you need to challenge those techniques.